Cut the background paper to fit from the Lime Tart collection. 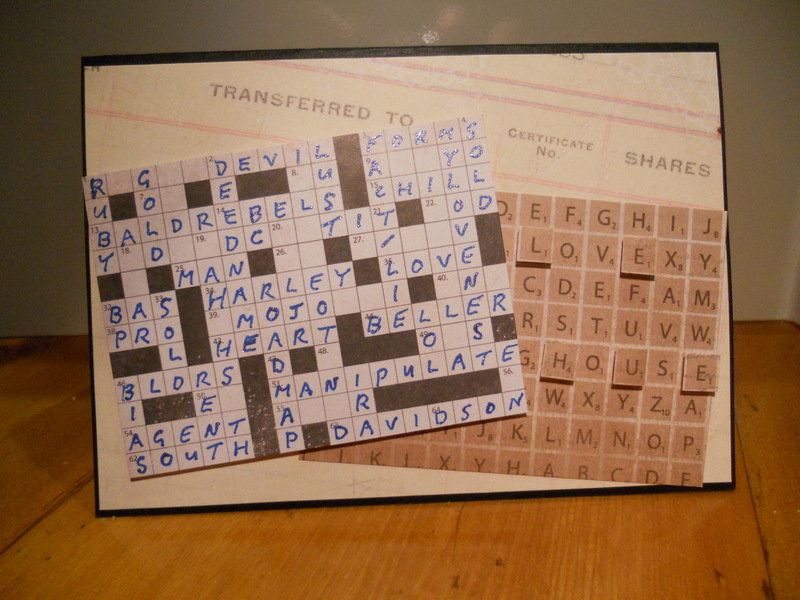 Cut Crossword and Scrabble paper to fit. Add a few letters on the Scrabble paper to have a few letters stand out.